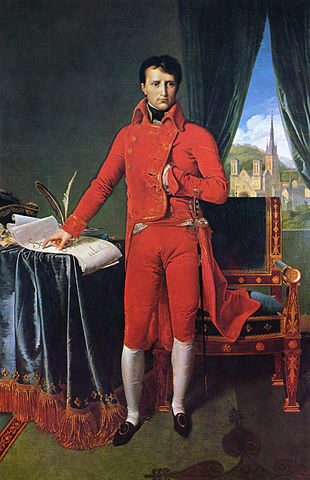 Napoleon as First Consul, by Jean-Auguste-Dominique Ingres. Napoleon is hiding one of his beautiful hands. There’s no shortage of Napoleon Bonaparte facts. Here are 10 you may not be aware of. 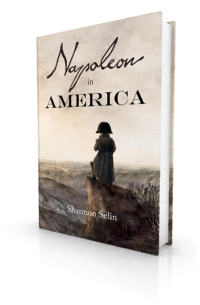 They struck me as interesting when I was researching Napoleon in America. 1. Napoleon couldn’t carry a tune. According to Hortense Bertrand, the daughter of General Henri Bertrand and his wife Fanny, Napoleon carried a mixture of licorice-powder and brown sugar in his pockets as a remedy for indigestion. (5) He also used it as a remedy for colds. When Napoleon was dying, he wanted to drink only licorice-flavoured water. 3. Napoleon cheated at cards. This was commented on by many observers, though they differed as to whether Napoleon was a prodigious snuff-taker or simply a sloppy one. 5. Napoleon loved long, hot baths. 6. Napoleon had beautiful hands. Napoleon’s valet Louis Étienne Saint-Denis thought Napoleon’s hands “were of the most perfect model; they resembled the beautiful hands of a woman.” (15) Saint-Denis also noted that Napoleon never wore gloves unless he was going out on horseback, and even then he was more likely to put them in his pocket than on his hands. 7. Napoleon couldn’t stand the smell of paint. A Corsican through and through, Napoleon believed in omens, demons and the concept of luck. He disliked Fridays and the number 13. He considered December 2 – the day of his coronation in 1804 and of his victory at the Battle of Austerlitz in 1805 – one of his lucky days. Upon the occurrence of remarkable incidents, either good or bad, he habitually crossed himself. 9. Napoleon liked to pinch people. 10. Napoleon never felt his heart beat. Louis Constant Wairy, Memoirs of Constant on the Private Life of Napoleon, his Family and his Court, translated by Elizabeth Gilbert Martin (New York, 1907), Vol. I, p. 331. Abell, Recollections of the Emperor Napoleon, p. 22. Lees Knowles, A Gift of Napoleon (London, 1921), p. 18. Marchand, In Napoleon’s Shadow, p. 636. Laure Junot Abrantès, Memoirs of the Duchess D’Abrantès (New York, 1832), p. 208. Louis Antoine Fauvelet de Bourienne, Private Memoirs of Napoleon Bonaparte (Philadelphia, 1831), Vol. I, p. 219. Norwood Young, Napoleon in Exile: Elba (London, 1914), p. 233. Abell, Recollections of the Emperor Napoleon, p. 49. Constant Wairy, Memoirs of Constant on the Private Life of Napoleon, his Family and his Court, Vol. II, p. 10. Emmanuel-August-Dieudonné de Las Cases, Mémorial de Sainte Hélène: Journal of the Private Life and Conversations of the Emperor Napoleon at Saint Helena (London, 1823), Vol. II, p. 232. Bourienne, Private Memoirs of Napoleon Bonaparte, Vol. I, p. 269. Abell, Recollections of the Emperor Napoleon, p. 41. Louis Étienne Saint-Denis, Napoleon from the Tuileries to St. Helena, translated by Frank Hunter Potter (New York and London, 1922), p. 277. Anne-Louise-Germaine de Staël, Ten Years’ Exile (London, 1821), p. 60. Abell, Recollections of the Emperor Napoleon, p. 90. Las Cases, Mémorial de Sainte Hélène, Vol. I, pp. 14-16. Armand Augustin Louis de Caulaincourt, Napoleon and His Times (Philadelphia, 1838), Vol. I, p. 173. Constant Wairy, Memoirs of Constant on the Private Life of Napoleon, his Family and his Court, Vol. I, p. 210. Laure Junot Abrantès, Memoirs of the Duchess D’Abrantès, p. 54. Abell, Recollections of the Emperor Napoleon, pp. 73-74. Constant Wairy, Memoirs of Constant on the Private Life of Napoleon, his Family and his Court, Vol. I, p. 319. Fascinating blog! I do know that when Napoleon went on his picnic (4th Oct. 1820) he stopped at Mount Pleasant and caught sight of Sir William Doveton’s oldest grandchild (age 7). He called her to him, took a piece of liquorice “from his small tortoiseshell box, and pinching her nose between his two fingers he popped it into her mouth”. He repeated this with her two little sisters. Thanks Lally. That’s a wonderful anecdote – captures two of Napoleon’s peccadilloes in one! Brilliant, Shannon, I enjoyed this post very much. Napoleon cheated at cards – this made me laugh out loud. Interesting Shannon. Famous people and their idiosyncrasies. A good reminder that we are all human no matter how large or famous the worldly role! Thanks Laura. That is so true! I enjoyed the bit about Napoleon. It was a change from his battlefield tactics,and very refreshing to me. That’s good to hear, Pat. Thank you. So nobody can feel his heart beat? Or just Napoleon himself? Napoleon’s valet Constant claimed that other people couldn’t feel it either. I especially liked the quote on Elba about him being poor, and therefore implying he was entitled to cheat! No so sure he was as superstitious as you say, but I do like your site, especially since it has a good selection from St Helena. What interesting facts! 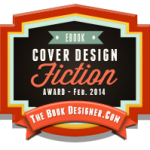 Adding them to your book would add layer after layer of interesting detail. Thanks, Ann Marie. Some of these do show up as habits in Napoleon in America. Ok i cannot help it, but sometimes Napoleon is really cute hihi..
Great article. I didn’t know about number 10 and it sounds very eerie, but also very intriguing. I have very little knowledge of biology and anatomy, but it makes me wonder if Napoleon had a small medical thing that may have made his pulse difficult to measure. Number 9 was quite familiar. His siblings weren’t safe either. And lastly, number 2 makes me wonder if he would have liked Dutch liquorice. What I hear from fellow students who are on exchange is that Dutch liquorice is very different from other kinds (in a rather infamous way). Thanks, Pim. I didn’t know that about Dutch liquorice. I wonder if Louis Bonaparte ever tried it. That was very admirable of him. How interesting! Could you consider writing a post on Bourienne? Thanks, Elle. I’ll think about that. My name is Matty Kleigl and I like how he had soft hands. Nice to hear from you, Matty. I’m glad you liked that fact. I read numerous books about Napoleon and saw many small things like these all over the place. I think he was a very interesting personality and I would love to meet him, if only I wasn’t born 2 centuries + later:)) Well, except the pinching part. That’s a no no. I agree, Napoleon was a fascinating person, Oscar. And his pinching would have been quite annoying! I absolutely never felt my heart beat either. Geez, I thought I was the only one. Guess not! You’re in great company, Oscar! Napoleon’s voice was most unmusical, nor do I think he had any ear for music; for neither on this occasion, nor in any of his subsequent attempts at singing, could I ever discover what tune it was he was executing.